Compact 40 Watt, IP67, DMX512 surface mount fixture. CNC cut, massive aluminium housing. The REVO DUO DMX is truly unique; lighting designers can choose (if desired) different light colours & different beam angles per section. Each section is DMX controllable. This offers completely new possibilities for designers. 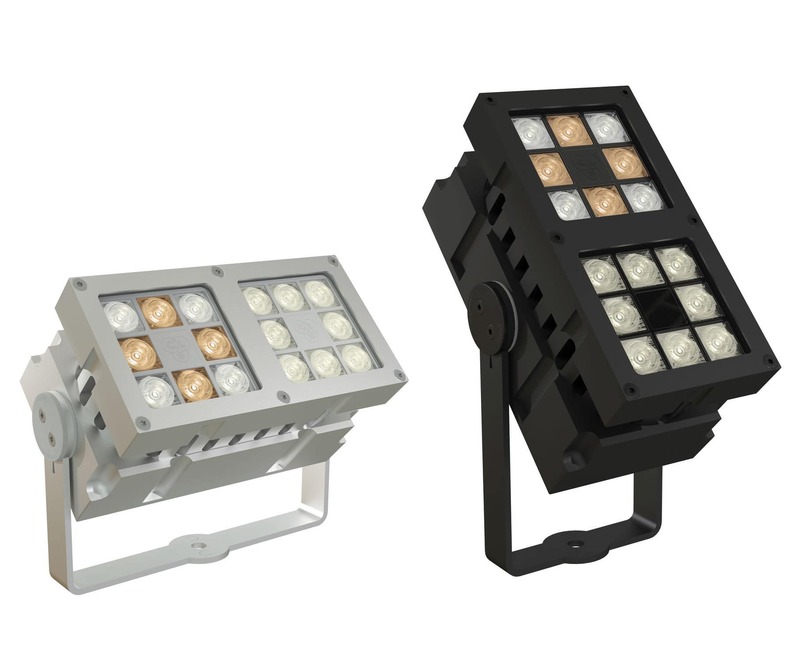 The REVO XL can be delivered with a mounting bracket on either the short or the long side of the fixture. Ventilation Gland with Gore-Tex membrane, which minimizes the risk of condensation inside the fixture. More than 800 different configurations are possible. Create your version within 30 seconds on our website. Lenses are fast and easy interchangeable. All electronics fully integrated, no external drivers required.